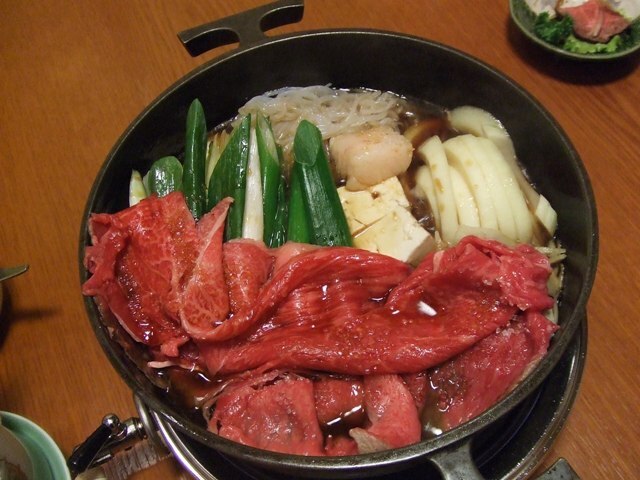 I had Sukiyaki at a certain place in Kyoto. 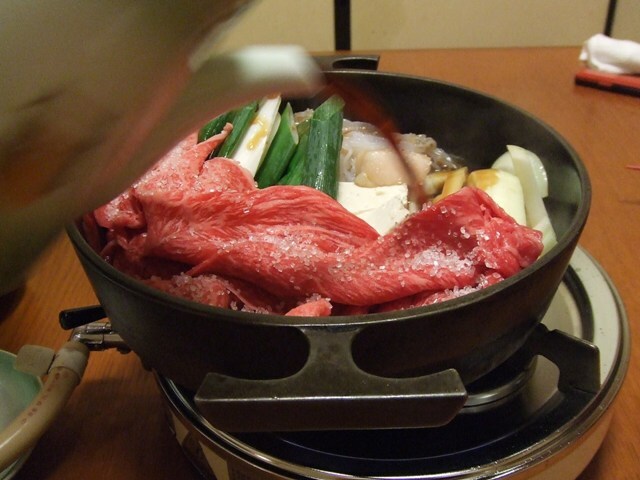 Sukiyaki is a popular style in Japan, but what I always have is Kansai style of Sukiyaki. 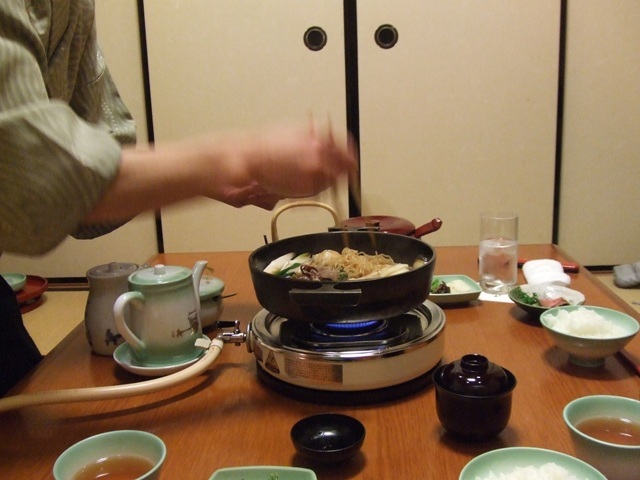 Well, this Sukiyaki restaurant is a very distinguished and expensive one. 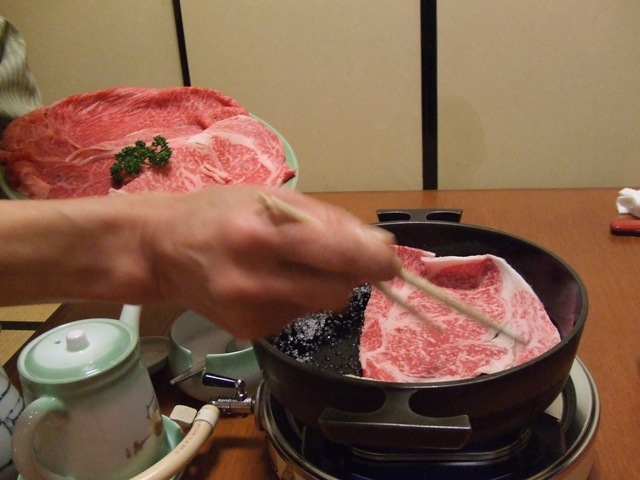 The beef they serve is what I can’t afford in everyday life. This was a kind of special occasion. 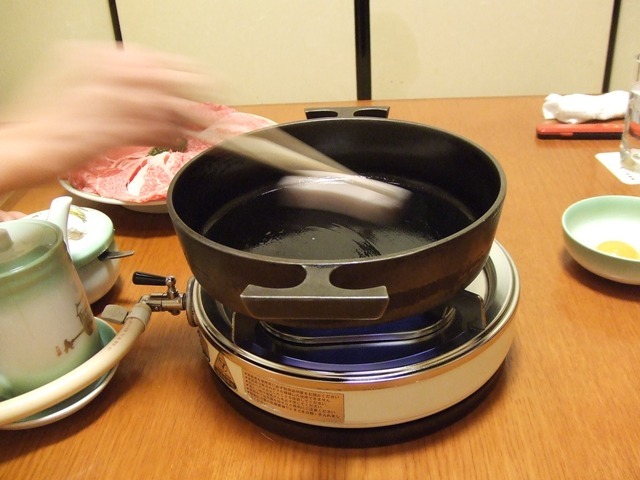 This is how we make Sukiyaki in Kansai. Fry just a little of meat, and eat. 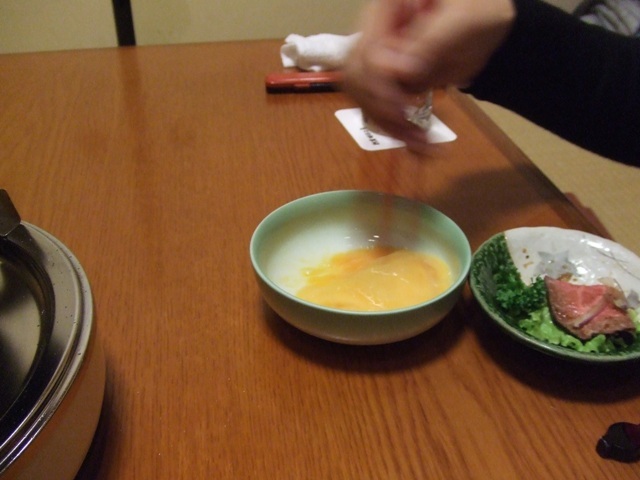 Don't forget to beat the egg. 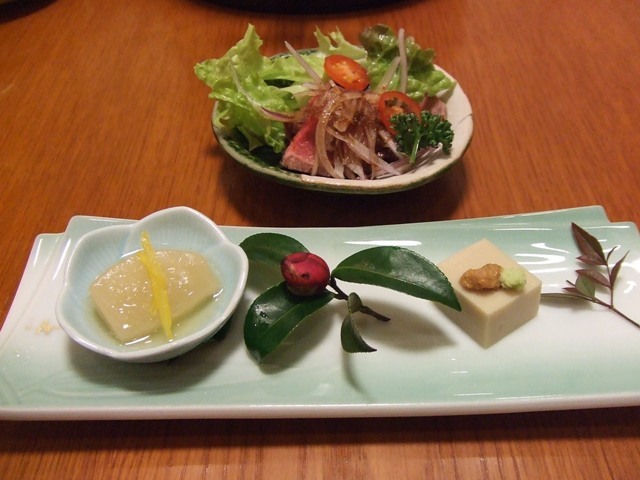 Put other ingredients like vegetables and tofu. 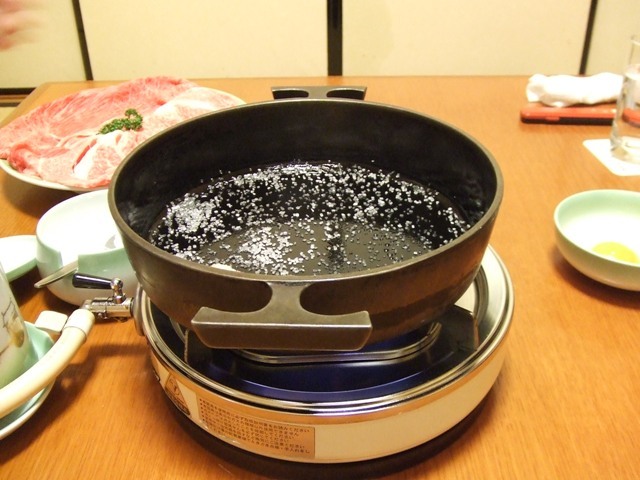 Pour soup called warishita which consists of mirin, soy sauce, and so on. 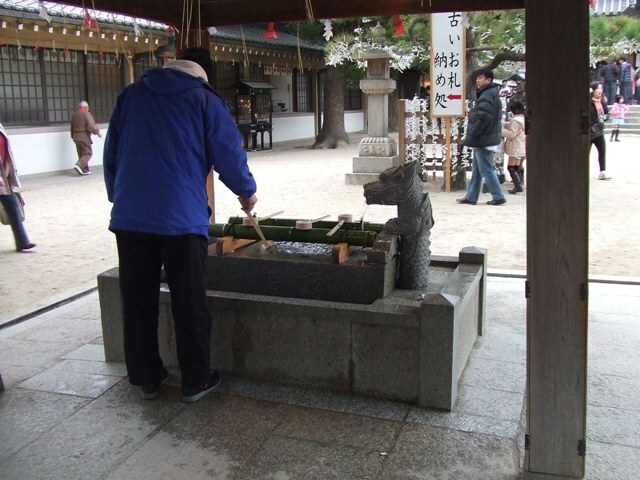 I introduced Koryuji Temple in the previous article. 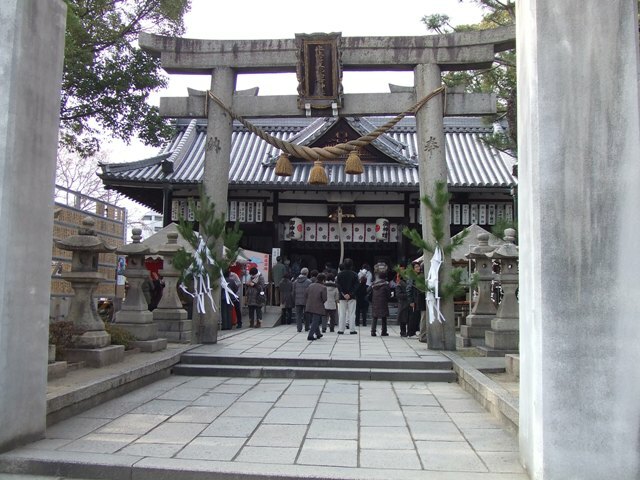 The origin of this temple is actually not sure, but it is sure that Hata family started this temple. 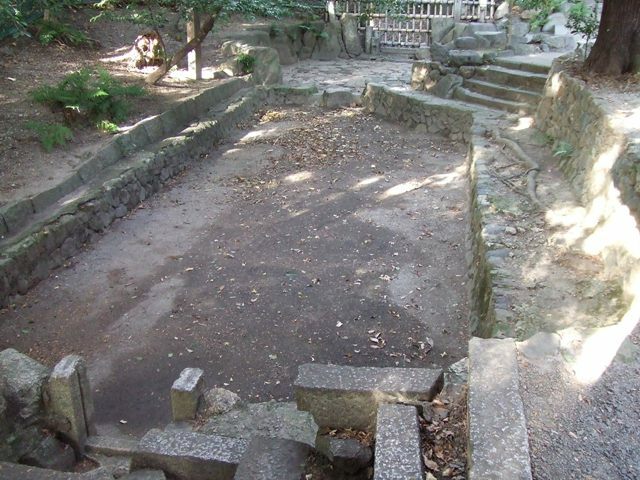 Some scholars say Koyuji did not started as a Buddhist temple but started as a Shinto shrine. 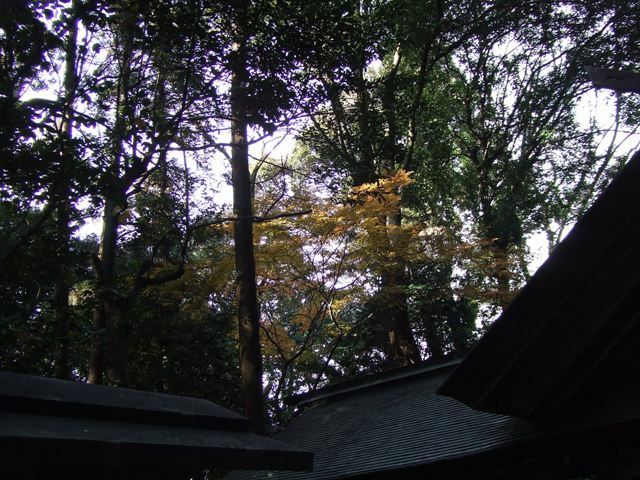 As a matter of fact, there is a Shinto shrine that is said that Hata family started near Koryuji Temple. It’s called Kaiko no Yashiro. 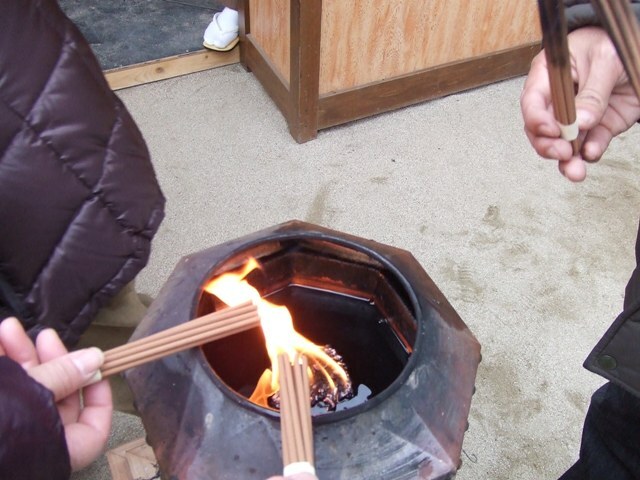 Kaiko means silkworm, and Yashiro means shrine. 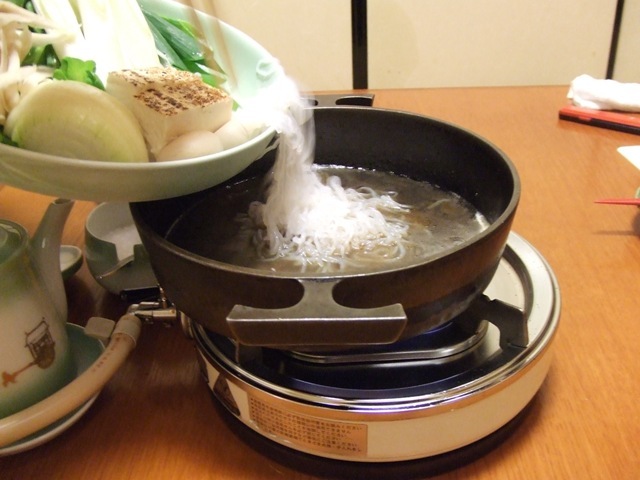 It is clear that Toraijin brought technology of textile. 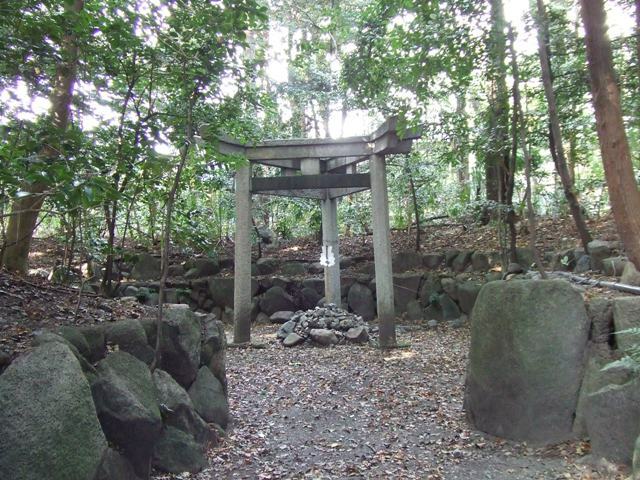 But its official name is “Konoshima ni masu Amateru Mikami Jinja”. It sounds like “Amaterasu Omikami is in this island.” , but I'm not sure. Anyway, in Kaiko no Yashiro, there is a peculiar object. 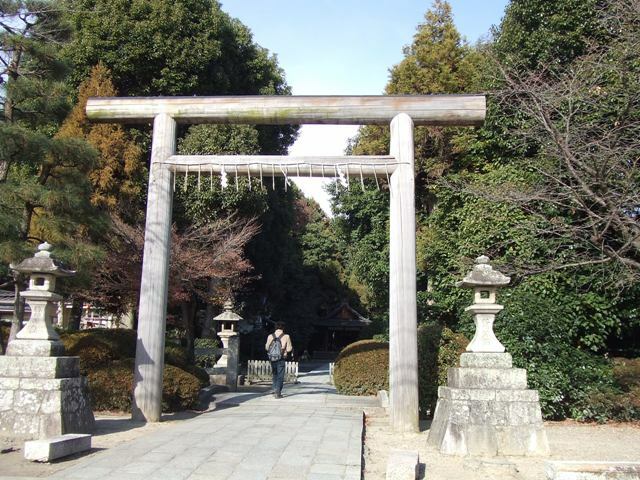 Torii, the gate of the shrine is like this, and usually, it’s at the entrance. This place is a pond, and there should be water in here, but the water supply was stopped on this day, I don't know when it's open. The explanation board says there is a theory that this is originated from the Nestorius sect of Christianity, which was brought about 1,300 years ago. If the theory is correct, the object represents Trinity. And this is a Christian shrine, temple, or church. 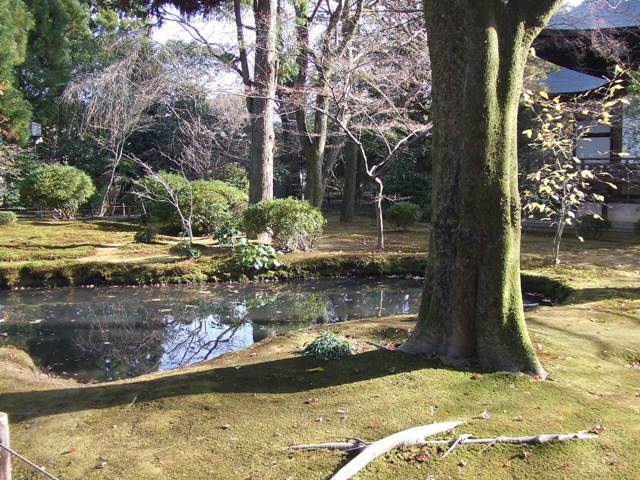 This is the pond for purification. In Christian term, for baptism? I went to Kyoto the end of last year, but I did not have enough time to upload anything then. 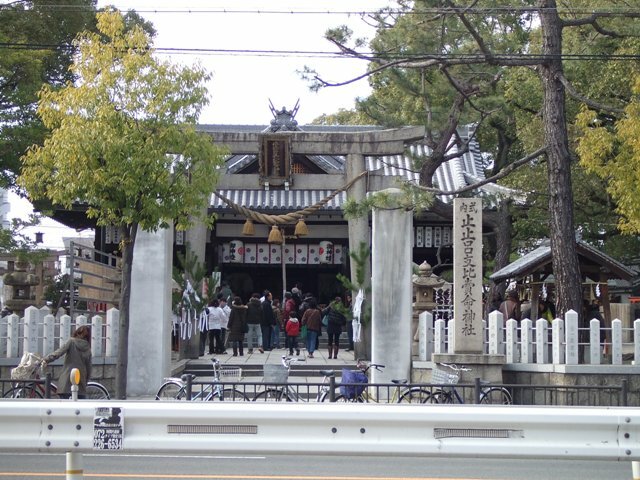 Well, this article is about the temple in Kyoto, but I’m going to start with Abiko Kannon in Sumiyoshi-ku, Osaka. 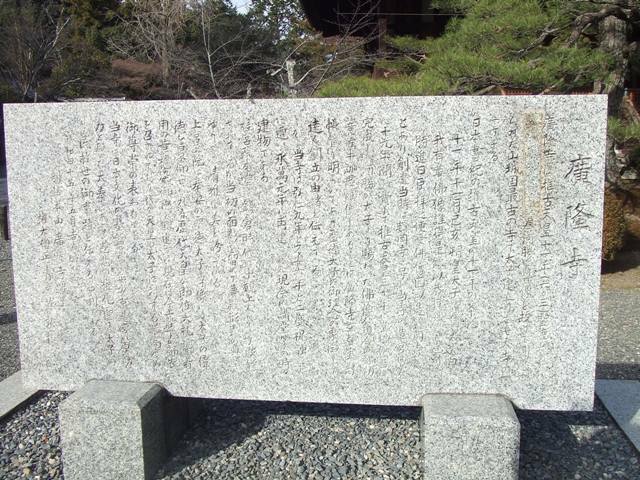 In the previous article, I introduced about Abiko Kannon, which is said that Prince Shotoku started. 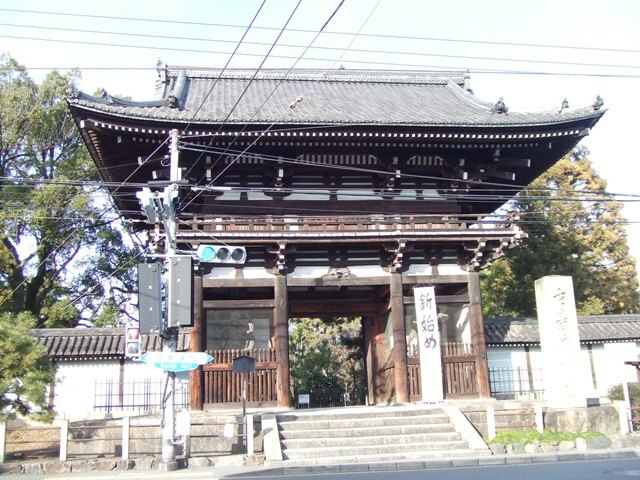 Before he built it in 546, a clan called “Yosamino Abiko” was given a small Kannon statue from Kudara. Kudara used to be a part of Korea. Similarly, in a Buddhist temple, Koryuji Temple in Uzumaza, Kyoto, there is a statue called “Miroku Bosatsu” It was brought from the Korean Peninsula. 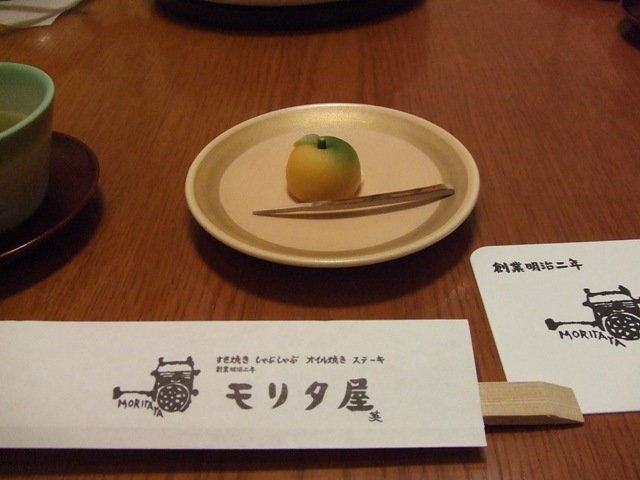 It is said Prince Shotoku handed it to Hata Kawakatsu. 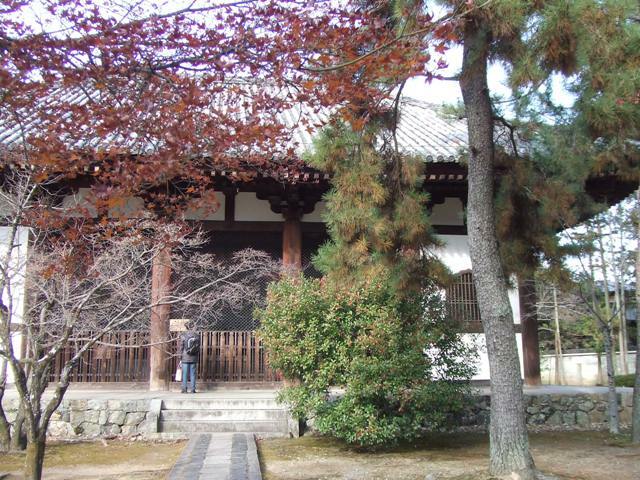 Hata Kawakatsu started this temple in 603. 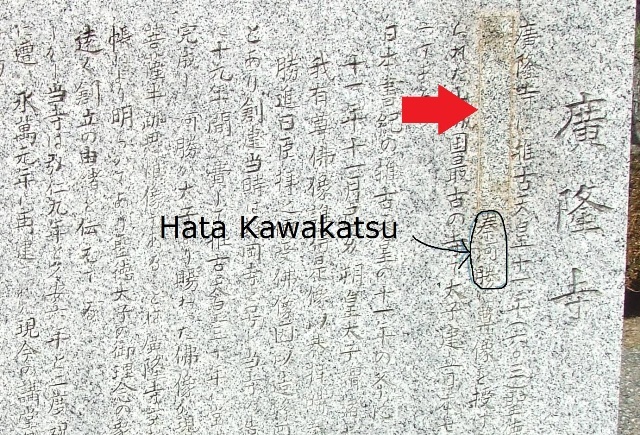 Hata Kawakatsu was the brain of Prince Shotoku. The statue of Miroku Bosatsu is the very first designated national treasure in Japan. 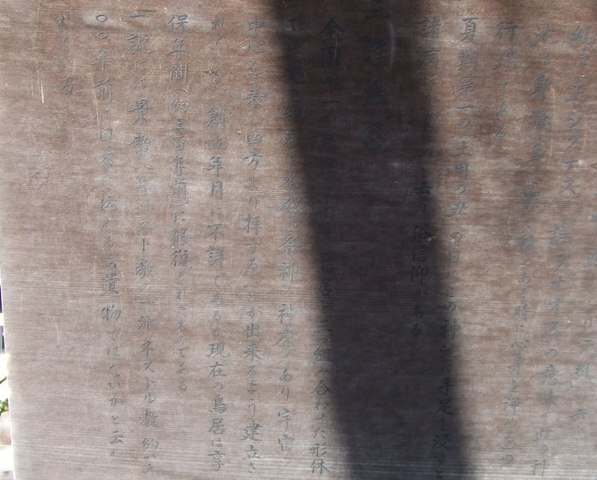 Pictures of Miroku Bosatsu and other treasures inside are not allowed to take. I took this picture from the net. 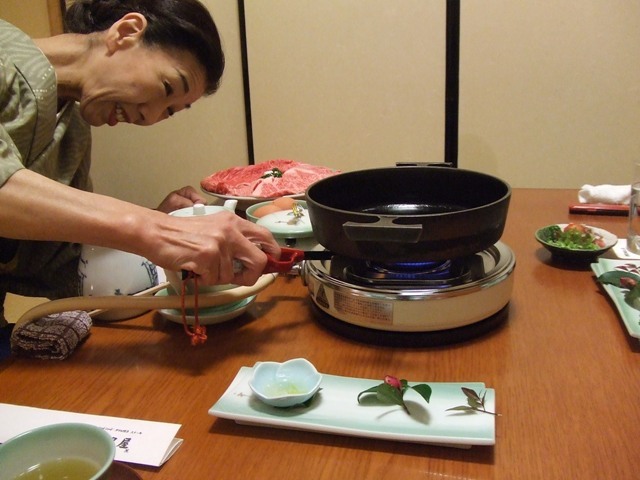 Hata Family was Torai-jin, the people who migrated from the continent to Japan. but surprisingly, the part of Hata Kawakatsu's explanation erased! 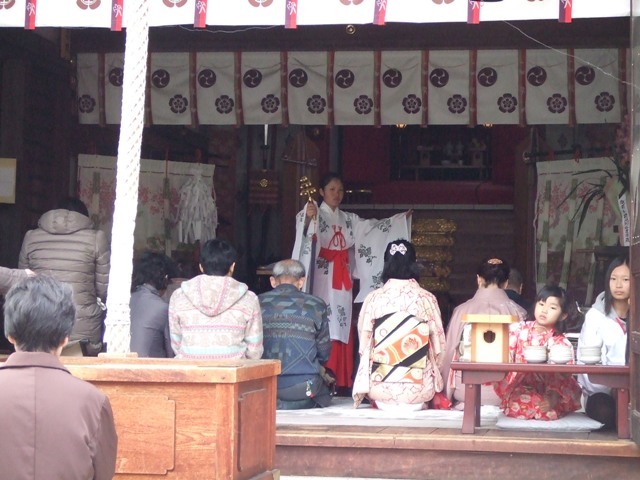 Most Japanese go to shrines for new year, but some people go to temples. 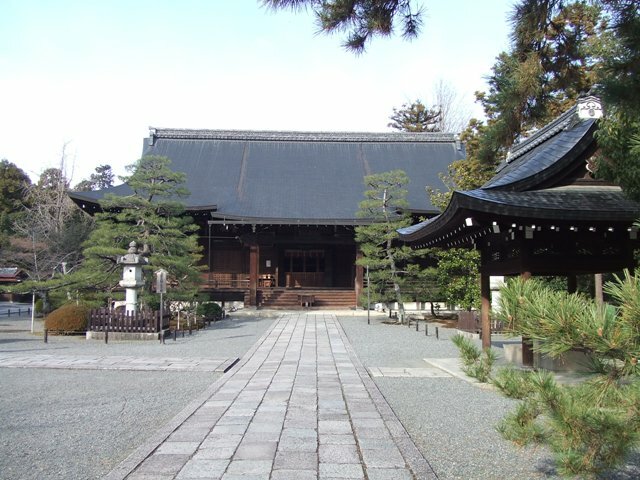 For example, in Osaka City, there is a Buddhist temple called "Abiko Annon". 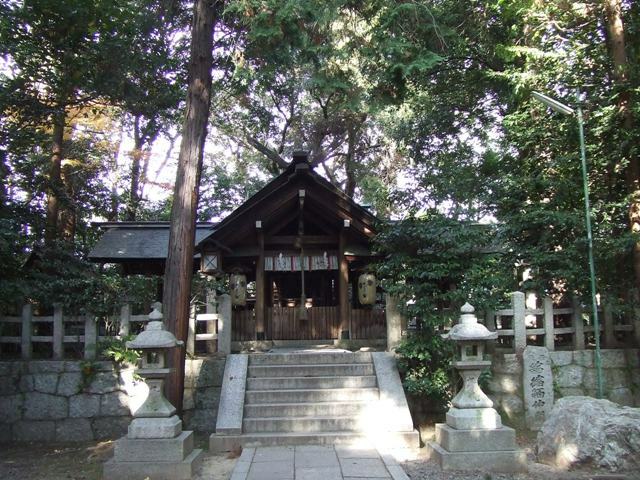 This is the oldest Kannon Temple in Japan, and it is said Prince Shotoku started this temple. 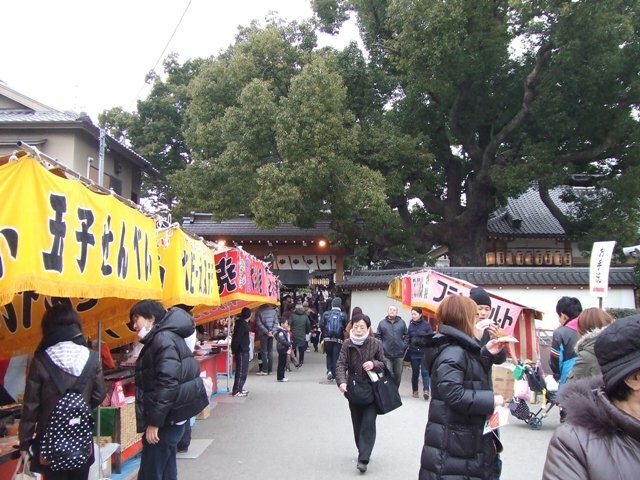 There is a big festival on February 3, the day of Setsubun here at Abiko Kannon. This temple get more exciting on February 3! 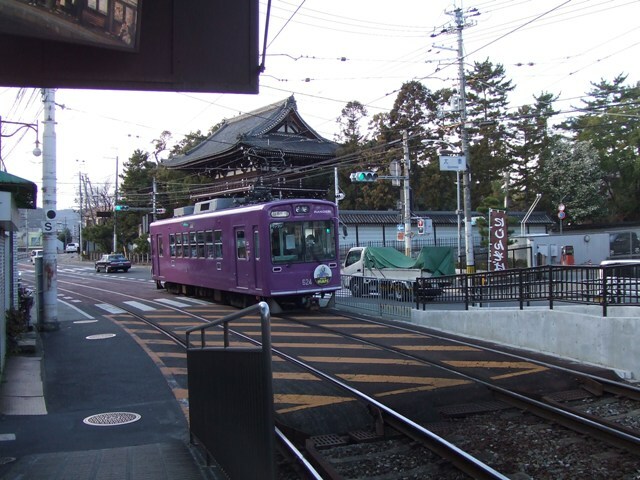 Abiko Kannon Temple is 3 or 4 minute walk from Abiko Station of Subway Midosuji Line, 7 or 8 minute walk from Abiko-cho Station of JR Hanwa Line. The new year has just started. 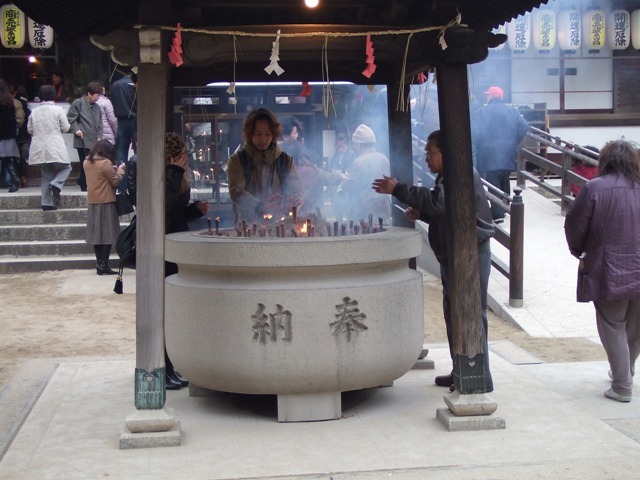 Most Japanese go to shrines on a new year’s day, the second or the third of January. 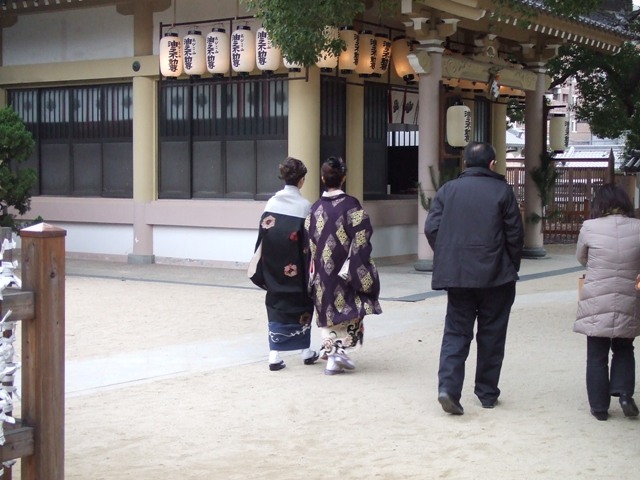 I write a lot about Sumiyoshi Grand Shrine on this blog, so many of you would think I go to Sumiyoshi Grand Shrine. Well, I used to, but these days, I don’t feel like going into that crowd. 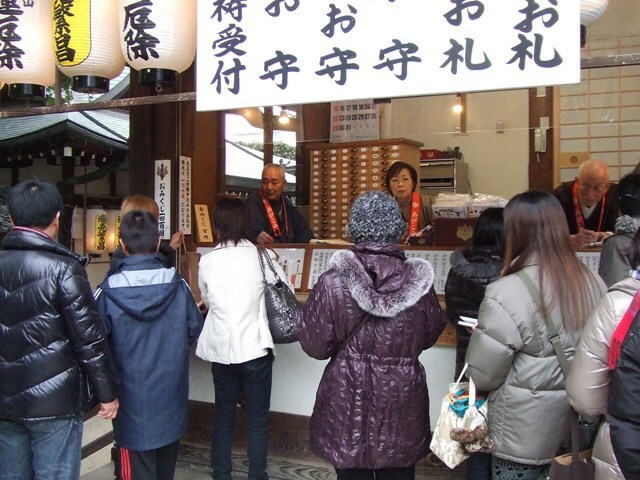 There are so many people coming from all over Osaka, or from all over Kansai, or even from outside of Kansai area every year at Sumiyoshi Grand Shrine for new year. 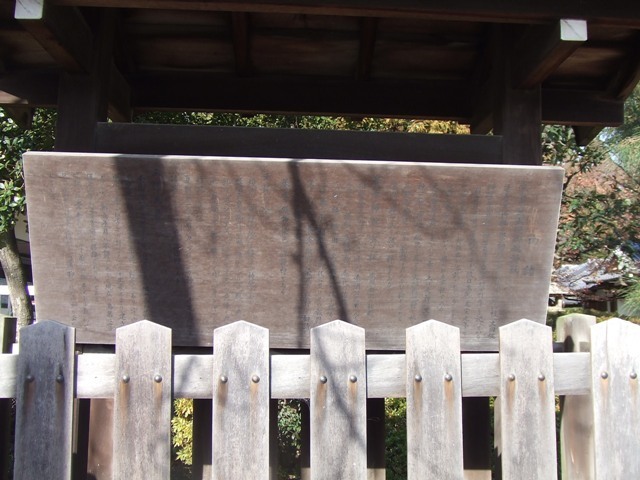 So, I went to the local shrine, Wakamatsu Shrine. 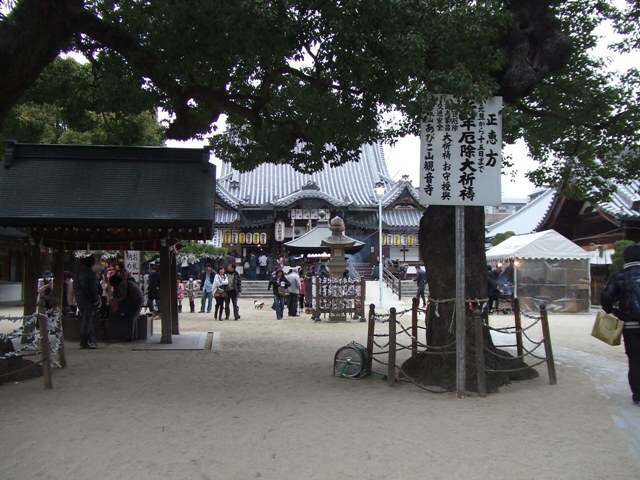 It is much less crowded, and I can feel the good old days at a smaller shrine. Luckily, I could see their dance ritual.